The first weekend that actually felt like fall finally happened here in Indy and it was so good. Collin and I had a chance to visit the pumpkin patch that’s up the road from us where we enjoyed the best apple cider slushy. Tonight I’m sharing this post in collaboration with Magnolia Boutique. 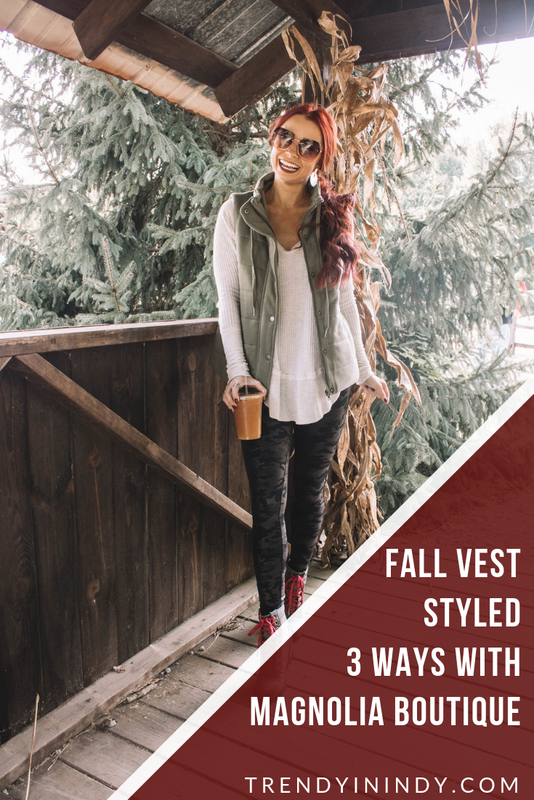 They sent me one of my favorite layers for fall in the best color and I wanted to show you guys three different ways to style this vest. I’m a big fan of plaid and flannels. I just don’t think you can go wrong with these fall staples. I envision this sitting around the campfire, making s’mores with the best friends. I decided to do a distressed denim with this more casual look. The maroon booties pull out colors in the plaid I’m wearing so the outfit all ties together. Who else loves camo as much as I do?! This is the most relaxed way I styled this vest and great for running errands this fall. I decided to wear an ivory waffle top that is long enough with leggings and finished the look with my Sorels (a must have for fall and winter). You all know I love my stripes. This is an easy way to mix this vest with a simple pattern. It’s also something you likely already have in your closet. I did a distressed dark denim and a hat to dress this look up a little bit. Pro style tip: I always like to mix solids and patterns. It looks like you put some thought into your outfit. That’s why I added some kind of print with each of these looks (plaid, camo, and stripes). You guys can shop this fall vest and other perfect-for-fall arrivals at Magnolia Boutique now. Use the code TRENDYTEN at checkout. 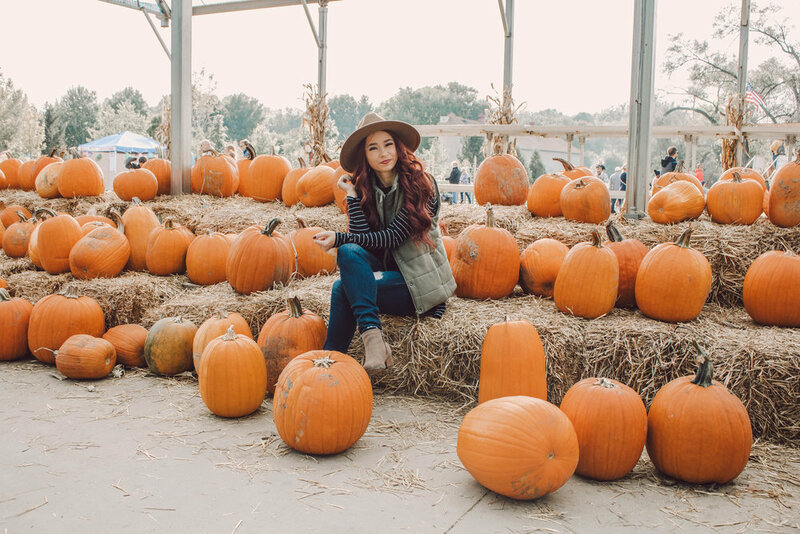 *This fall vest post was sponsored by Magnolia Boutique, all thoughts are my own. Thank you for supporting the brands that allow me to spread goodness through Trendy in Indy.